"Rather, ten times, die in the surf, heralding the way to a new world, than stand idly by on the shore"
rides are still being organised under the auspices of Cyclists in Southwark. Although some people want us to move our rides to north London, this is not an option for us. Quite a few north Londoners prefer to go on Southwark Cyclists Healthy Rides than on our rides and two thirds of the riders on our ride were from South London (Gravesend, Greenwich, Bromley and Croydon). 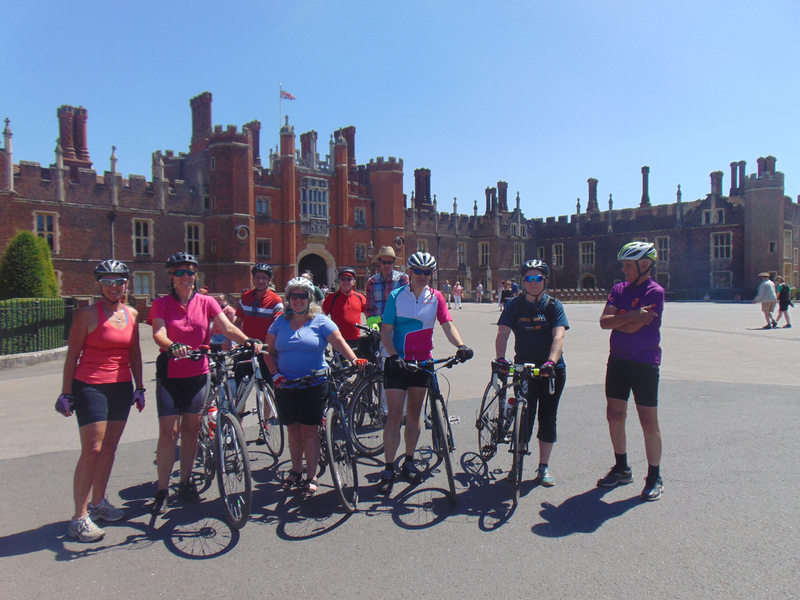 We even had one rider who came from the USA and who had been told about our ride by the One Your Bike shop by London Bridge! 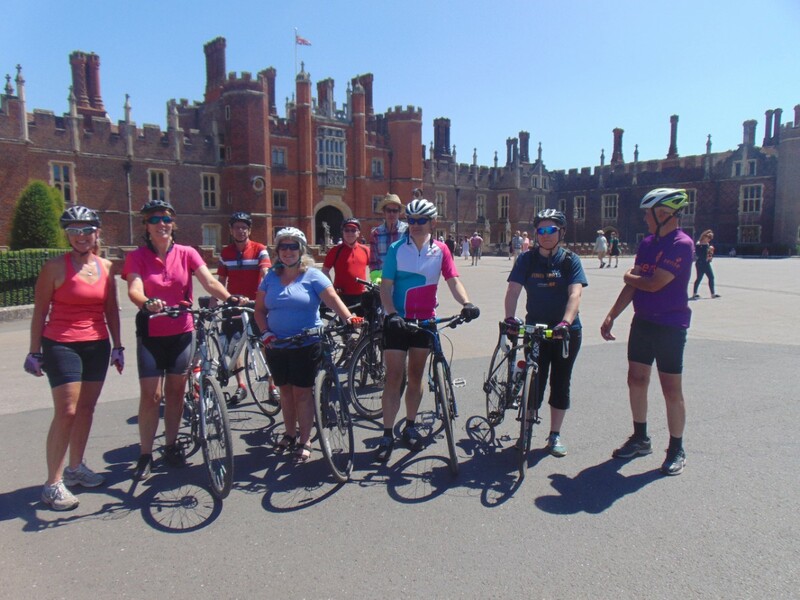 However, being a "fake" Southwark group does cause its problems - several of our riders had difficulty in finding the starting point due to unfamiliarity with doing rides starting at Burgess Park! There was also some confusion because Burgess Park has two cafes - a Tennis one and a Park Life one. One cyclist wanted to meet us at Addington Square because he was a bit late, but I thought Addington was one of the meeting points for Over the Hills Cyclists, near West Wickham. However there were 12 of us and we soon reached Chiswick Bridge. We then continued along the Thames Path on a section we hadn't ever used before around Kew Gardens. We now know why - there was plenty of bone-shaking going at that point. However, things got more civilised as we went past Marble Hill House, Strawberry Hill House and Orleans House. 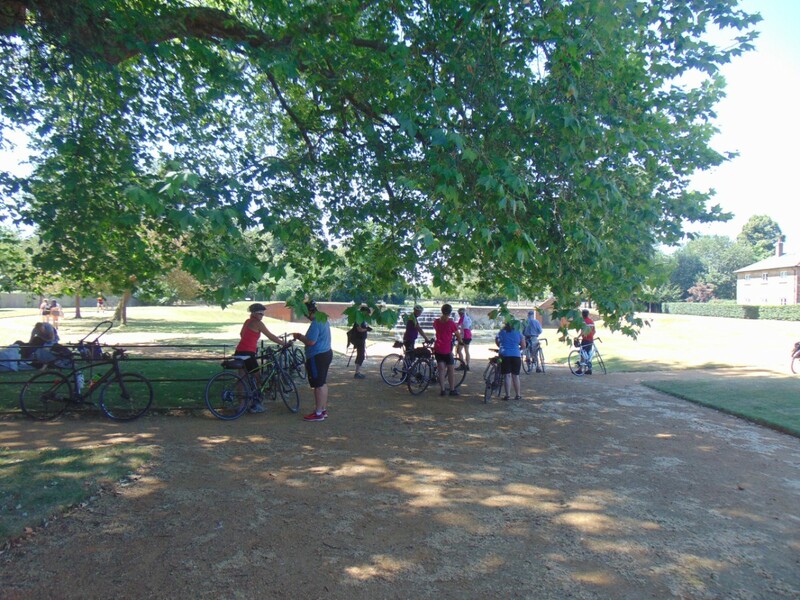 Bushey Park was a highlight of the ride. 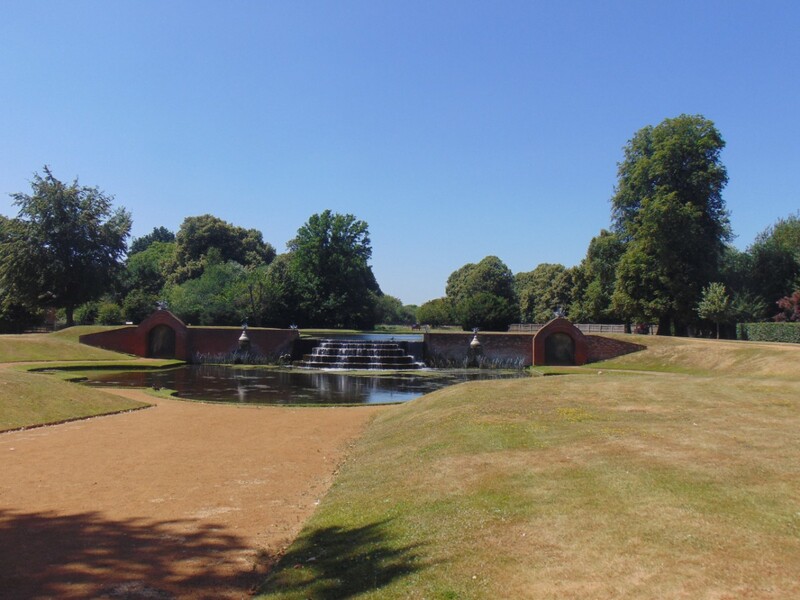 We stopped off at the Pheasantry Cafe and went to look at the newly restored water feature, which was some distance from the cafe in a massive park. We then went on to Hampton Court and walked though the gardens there and stopped for 40 minutes for lunch. We retuned by cycling alongside the north bank of the Thames. After crossing Kingson Bridge, there were sigs directing us away from the Town Centre and we found a new route that took us up to Ham Gate in Richmond Park. We then cycled back though Wimbledon to Clapham Junction. I then got a phone call checking that everything was alright as we had taken all day to do just a 40 mile ride! We went back to Burgess Park as a couple of riders wanted to return to the start point.